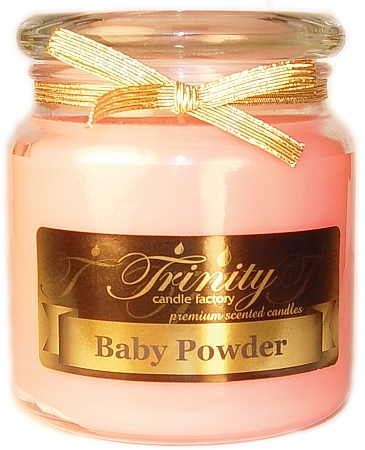 Trinity Candle Factory Premium Scented Baby Powder - Pink - Traditional - Soy Jar Candle - 18 oz. This Traditional style jar candle comes in all fragrances, premium scented for maximum fragrance throw. With a 120-140 hour burn time, cotton wick and premium scent, this candle is an absolute must. This Baby Powder candle You will smells the distinct aroma of baby powder. Very Strong! 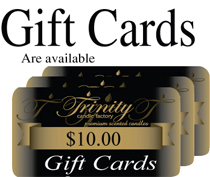 100% Satisfaction Guarantee. Baby Powder - Pink - Fragrance Oil - 1/2 oz. Baby Powder - Pink - Reed Diffuser Oil - Refill - 8 oz.